For the first time, the Syrian Army used Russian-made T-90A tanks in combat. Their baptism by fire took place near the city of Aleppo. The T-90A, one of Russia’s most advanced weapons, went through its baptism by fire in service with the Syrian armed forces. Earlier, it was reported by Turkish and Iranian media, and then the Russian Defense Minister confirmed the fact. The Turkish pro-government newspaper Yeni Safak reported, citing a military commander, that over 80 T-72 and T-90 tanks were spotted in combat north of Aleppo. The report also read that Syrian forces backed by Russian jets took control over the towns of Nubul and Zehra, north of Aleppo. 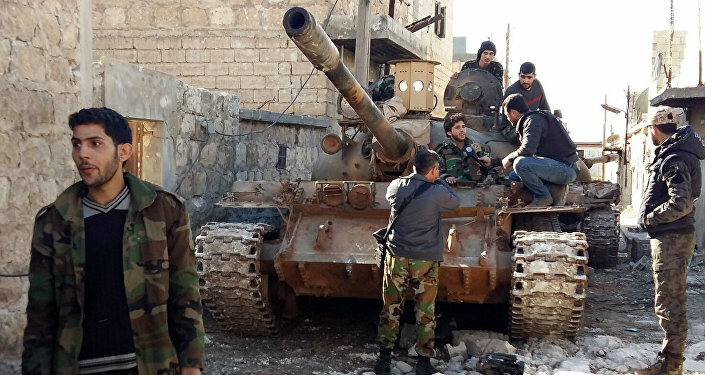 Meanwhile, Syrian T-90s in action near Aleppo were then reported by Iran’s FARS news agency on February 2. According to the agency, T-90 tanks were deployed near the town of Khan Tuman, south of Aleppo, after the Syrian Army regained control over the town in December. Using the advantages of the T-90 tank, the Syrian Army alongside its allies surrounded the strategic towns of Khan Tuman and Al-Karassi, along the Aleppo-Damascus highway, a military source told FARS News. However, the first news about delivering T-90 tanks to the mechanized division of the Syrian Army came on November 29, 2015. At the time, Russia neither confirmed nor denied it. On February 5, a source in the Russian Defense Ministry told RNS news agency that in late-2015, a number of T-90 machines were delivered to Syria. According to the source, previously the tanks were in service with the Russian military. Syrian troops practiced at training fields in Russia. According to RNS, the tanks were first used in combat by the Syrian Army near Aleppo. They supported a ground assault by Syrian troops. The T-90A tank entered service with the Russian Armed Forces in 2004. The T-90A is a modernized version of the T-90 Vladimir tank developed on the basis of the T-72B, in the 1980-1990s. It was named "Vladimir" after its constructor Vladimir Potkin. The T-90A featured a new engine and turret and was equipped with a thermal-vision system. Its engine delivers 1,000 hp at 2,000 rpm. The tanks is equipped with third-generation active armor, capable of withstanding an attack by 120-mm M829A2 and DM43A1 tank rounds, designed for the Abrams M1A1 and Leopard-2 tanks respectively. The T-90 protective system is capable of protecting the tank from the newest TOW-2A and HOT-2 anti-tank missiles. According to FARS, in four-and-a-half years of the Syrian war various militant groups received over 9,000 US-made TOW anti-tank missile systems and M-79 grenade launchers. 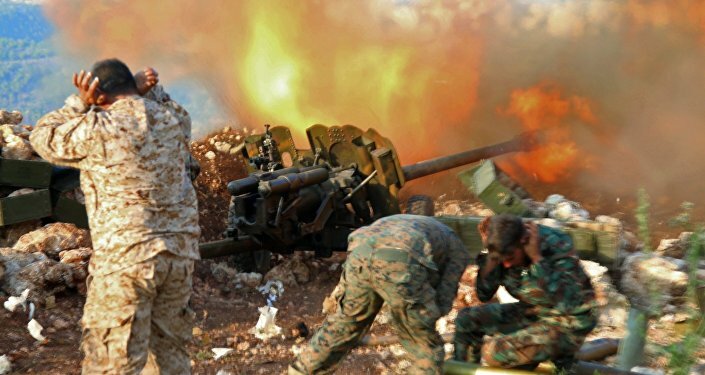 They were very successful against the aging T-55 and T-72 tanks of the Syrian Army. Only after the newest T-90 tanks were delivered to Syria the Syrian Army began its advance against militants. The T-90 was delivered to Syria because the tank is equipped with the Shtora active armor, military analyst Alexei Ramm told Gazeta.Ru. Unlike, for example the T-72B, the T-90 tanks of the Russian Armed Forces were initially equipped with this type of armor. The need for it was dictated by the fact that many Syrian militants are armed with TOW missiles. How does the system works? There are several laser radiation receivers, mounted on the tank, as well as two projectors near the gun. These receivers can detect laser radiation when the tank is being targeted and warns the crew of the threat, Ramm explained. In this situation, the crew can evade the attack. The second option is smoke-screening, and the third option is jamming the enemy target-acquiring system with the projectors. The T-90A is equipped with a 125-mm smooth-bore gun – the 2A46M-2 – with a barrel length of 51 calibers. Its maximum accuracy range while firing high-explosive anti-tank warheads is 4,000 meters, and while firing fragmentation projectiles – up to 9,600 meters. According to the analyst, the Syrian Army would actively engage the Russian T-90 tanks in combat. He explained that ground relief allows for using the T-90 near Aleppo, Idlib, Hama and Homs but currently main combat actions are focused on Aleppo and northern Latakia. "The principal task now is to neutralize threats to two western regions – Latakia and Tartus. If Latakia falls it would deal a serious blow to [Syrian President Bashar] Assad’s position and would complicate the Russian aerial operation," Ramm pointed out. 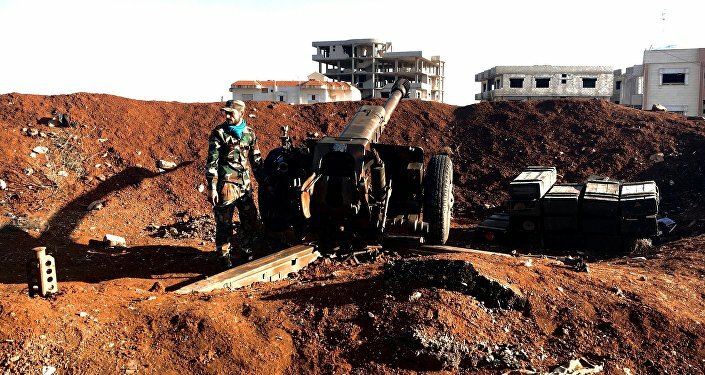 What is more, now an offensive is also underway against militants in the enclave of Salma. Tanks are not enough in this mountainous area, where ground forces backed by aviation are needed. "If Salma and Aleppo are liberated Turkey will not be able to deliver supplies to terrorists," he said. In December, Syria’s news agency SANA published footage from the battlefield where Russian T-90’s were also spotted.